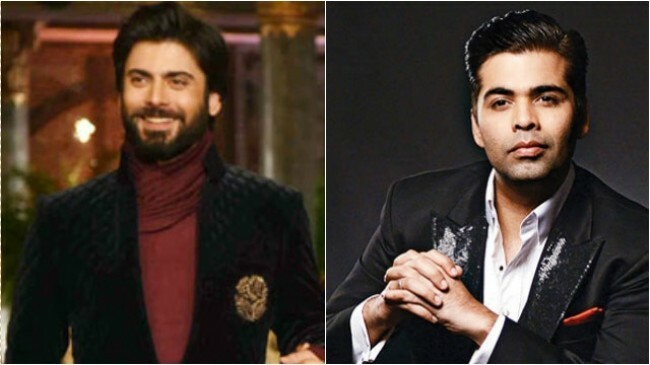 Mumbai, Sep 27 (IANS) As MNS workers protested outside filmmaker Karan Johar’s office here on Tuesday over Pakistani actor Fawad Khan’s presence in his film “Ae Dil Hai Mushkil”, industry veterans Subhash Chandra and Anupam Kher justified the MNS ban on Pakistani artistes. But filmmaker Vikas Bahl wondered if ousting the Pakistani actors would solve any problem. “I want to know if the step we are taking is towards solving the problem… What is the next step after they leave the country,” Bahl told IANS. His sentiment is in tune with Karan Johar’s concern that banning Pakistani artistes from working in India was not a solution to terrorism. MNS workers reportedly staged a protest outside the filmmaker’s office, shouting slogans against him for casting Fawad in the forthcoming drama “Ae Dil Hai Mushkil”. Fawad is one of the Pakistani actors asked by the MNS to leave the country following the September 18 terror attack in Uri in Jammu and Kashmir that killed 18 soldiers. The actor, according to a source, had left India in July itself. He won the heart of Indian audiences when he made inroads into the Indian TV industry through Zindagi channel, which brought syndicated content from Pakistan to the country. “Zindagi Gulzar Hai” and “Humsafar” are shows that helped him garner a huge fan following, which then escalated when he made his Bollywood debut with “Khoobsurat”. “Ae Dil Hai Mushkil” features him with Bollywood biggies Ranbir Kapoor and Aishwarya Rai Bachchan. Ranbir preferred to be mum on the MNS directive while Karan, who directed the film, told a news channel that “this (asking Pakistani artistes to leave) is not a solution”. But Essel Group’s chairman Subhash Chandra, who has announced that they will discontinue beaming Pakistani shows on Indian TV channel Zindagi in the wake of the September 18 attack, said as an Indian conglomerate, the Zee family had always extended an olive branch to Pakistan. But now was the time to take a step back as “somewhere you have to understand your people’s sensibility”. Chandra said that on their part they requested Pakistani artistes like Fawad, Mahira Khan, Ali Zafar, Shafqat Amanat Ali Khan, Rahat Fateh Ali Khan, Atif Aslam, Veena Malik, Imran Abbas and more to “simply condemn the terrorist attack on sleeping soldiers”. Apart from Fawad, Mahira is slated to be seen in Shah Rukh Khan starrer “Raees”, the release of which is also under threat from the Maharashtra Navnirman Sena (MNS). Anupam, who was denied a visa to Pakistan earlier this year, said the films that Pakistani actors have shot for must release for the sake of the investment the producers have made. But he condemned their silence after the terror attack in Uri. “Make us feel that we have given you so much (in your career), and you can at least do lip service and say ‘I am sorry for your pain and I condemn this act of terrorism’,” he said in a message to Pakistani actors. The Indian film fraternity has been largely careful while commenting on the issue, with many choosing to keep their thoughts to themselves.